Doctors don’t detect an estimated 85 percent of aneurysms until they burst. Fortunately, if a person can seek them quickly enough, there are treatments available for both stroke and aneurysm. An aneurysm that hasn’t burst can range in size from large to small. 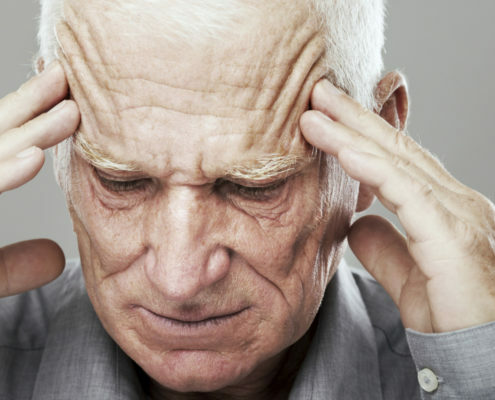 Some people may have a small brain aneurysm and go their entire lives without knowing it. Some people have a family history of brain aneurysms, and they may undergo imaging studies to help a doctor identify if the person may have one that hasn’t burst. Most will largely go undiagnosed until a person starts experiencing symptoms or the aneurysm bursts. Vasodilators keep the affected vessel from tightening too much and stopping important blood flow. These medications also keep a person’s blood pressure from getting too high, which could lead to increased pressure in the skull and bleeding. Doctors don’t always treat an aneurysm that hasn’t burst, but usually will when it is causing symptoms. Burst aneurysms require fast treatment. Examples of considerations are the patient’s symptoms, health history, and the aneurysm’s size and location. This involves accessing the area in the brain where the aneurysm occurred, placing a metal clip at the “neck” of the aneurysm. This keeps blood from flowing into and out of the aneurysm. This approach involves inserting a special device to re-route blood flow past the aneurysm. The flow diversion procedure can only be performed on an aneurysm that hasn’t burst. The ability to do this reduces one of the greatest risks associated with surgery, which is accessing the aneurysm itself. With time, the aneurysm should close because it doesn’t receive blood flow that causes it to bulge. An approach to use if an aneurysm can’t be coiled or clipped. This involves a surgeon removing a portion of the skull to access the area of the aneurysm. An artery from the patient or a donor artery is sewn to the damaged artery, re-routing blood. According to University Hospital in Newark, NJ, the fatality rates for hemorrhagic stroke are higher than ischemic stroke. The effects of the massive bleeding associated with a hemorrhagic stroke are often difficult to combat, even with today’s technological advancements. As a result, it’s important that people who have any symptoms of an aneurysm seek immediate medical treatment. Researchers tried a diet that was 15 percent fiber, made from minimally-processed grains and plants. 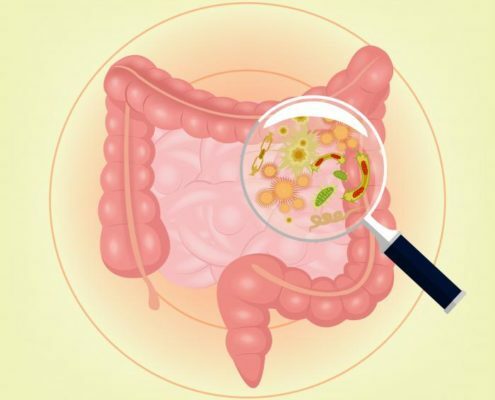 They also tried a diet that was rich in prebiotic fiber – a purified form of soluble fiber that is similar to what some processed foods and dietary supplements contain. As revealed by the study – published in the journal Cell – the induced infection did not fully spread in mice that received the 15 percent-fiber diet. Their mucus layer remained thick, protecting them against the infection. Researchers were also able to see what fiber-digesting enzymes the bacteria were making. They found 1,600 different enzymes that digest carbohydrates – a complexity similar to the one found in the human gut. Scientists were able to look at images of the “goblet” cells on the colon wall that produce mucus. They could clearly see how the mucus layer got progressively thinner as the mice received less fiber. Future research to study different diets In the future, we want to study the effect of different prebiotic combinations over a longer period of time, as well as the impact of an intermittent natural fiber diet. We would like to study the impact of a low-fiber diet on chronic illnesses such as inflammatory bowel disease. “While this work was in mice, the take-home message for humans amplifies everything that doctors and nutritionists have been telling us for decades: Eat a lot of fiber from diverse natural sources.